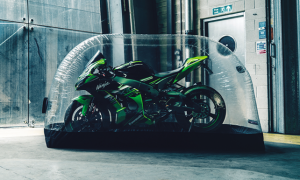 Vehicle Dome is the number one storage system for your car, motorbike or SUV. These units are made from clear inflatable PVC Plastic sheet 0,2 mm with a nylon zipper and a 0.7 mm base material which is resistant to fire, petrol, diesel, oil and all other vehicle fluids. If you love to care for your vehicle the dome keeps it in perfect condition. The dome is inflated with a brushless 12-volt fan that provides a continuous flow of filtered air, keeping your vehicle in a permanent protective controlled climate with low levels of dust and humidity. All components carry a one-year warranty. Keep your car looking like new. Protect it from rust, mould, and mildew by keeping the air directly around your vehicle dry and fresh. 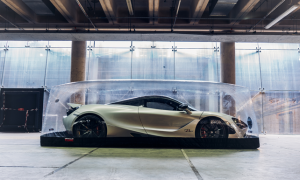 The air inside the dome is changed 3 to 4 times an hour as it circulates through the system maintaining a consistent temperature around your car keeping it free from moisture. The Vehicle Dome is strong enough to protect from random objects in the garage that would normally pose a hazard to your car, like bikes, ladders, broom handles etc. The dome is resilient enough to keep these objects from dinting your car and chipping the paint. Rodents, pests will also be stopped in their tracks, they won’t be able to chew on the electric wires, or destroy the interior of your car. 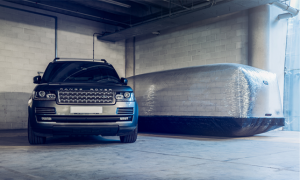 The Vehicle Dome is competitively priced and there are several sizes to choose from depending on your vehicle. There are domes for motorcycles, cars, and SUVs. Each have the fire-retardant base mat, and a 12-volt fan to keep the dome inflated. Electricity cost for the fan will run about 5 pence a day.